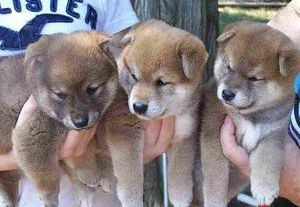 Shiba inu come in several colors ,thease puppies will bee a dark red ,the black on the face and chest goes away and becomes a dark red. Coton puppies are inquisitive happy and eager to learn, never a dull moment, they are known as the anti depressent dog, loving when you need it and playful to keep you entertained. this is MR Apollo of Woodland Cottage with me he was cast as the neighbors fancy expencive little dog of the neighbor on this movie, he was a big hit every one loved him, what a wonderful day it was. Shiba's are one of the cleanest dogs ever they Potty train so fast you wont even believe it they are also clean and cunning and can bee aluth, this breed is not for the faint of heart ,but a strong willed person who knows how to led a pack, They have their own unique and individual personalities no two are alike. 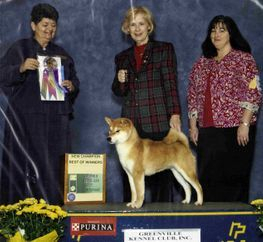 Shiba's are our Passion we understand them and they are a part of our Pack and we are the leaders . What a great weekend she was handled and Co Owned by John Albert Brown who did a great job with her. This wonderful photo is of my Shiba inu puppies from Charley and Chardnai in 2010. Cotons are happy non shedding Hypoallergenic dogs from the island of Madagascar, They are known as the anti depression dog they are loving and eager to please family oriented, they may look like a fofo dog but not at all under all of that thick lovely hair, they love swimming and agility, showing off is the perks of owning a Coton so the show ring is first nature to them. 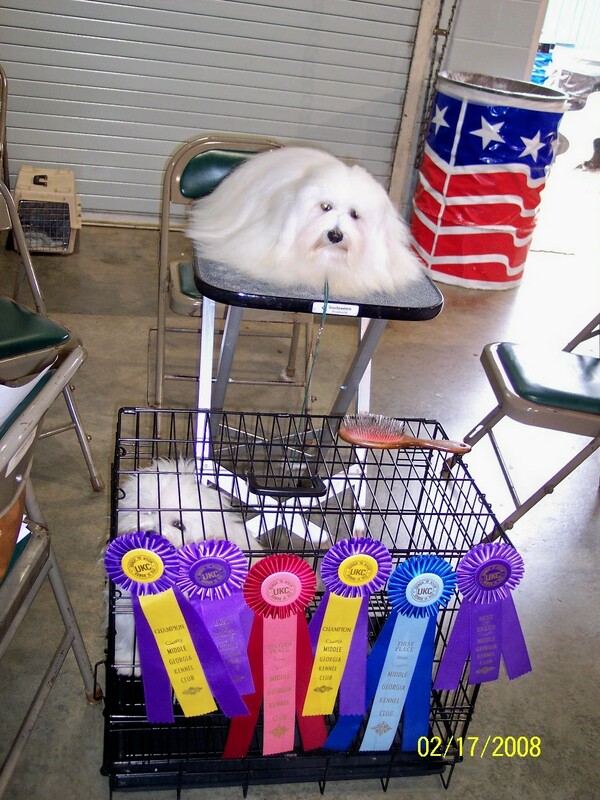 Owner/Handler of top UKC #2 and #3 Coton de tulear for 2008 with limited showing. In Nov. 2008 Bubbles (Coton de tulear) went to Budapest Hungary Euro Dog Show - We took third place and qualified for Crufts In England . 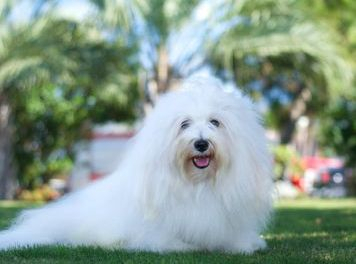 Coton de Tulear - Bred By, INT, Multi Grand Champion Showboat's Pin up Girl moved up with limited showing to #2 in 2009. 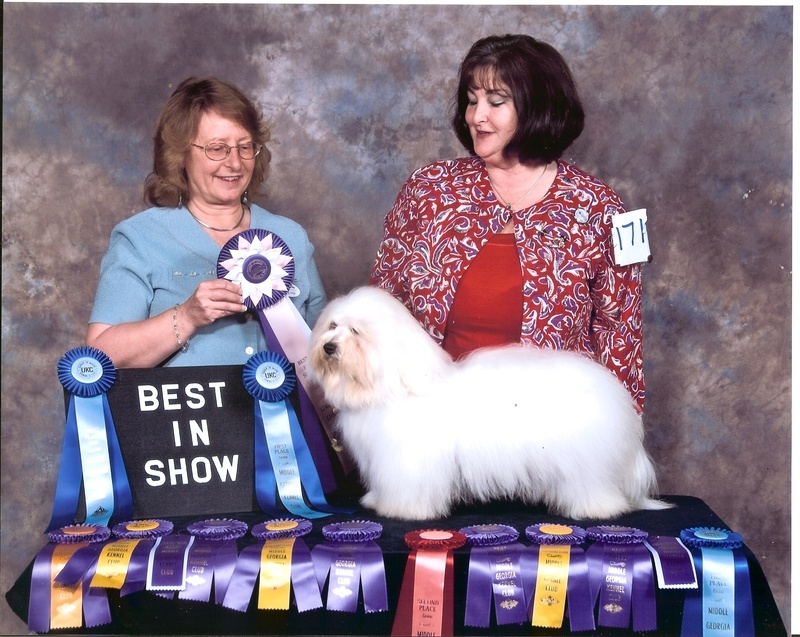 CH Showboat's Pin up Girl was invited to the top 10 UKC dog show for 2009 Coton de Tulear. All puppies from Showboat Kennels come with one of the following registries: AKC, FCI, UKC, ARBA. All of our dogs here at Showboat Kennels are from Top Champion lines. Our emphasis is on Healthy, Happy puppies. We specialize in Shiba Inu's. 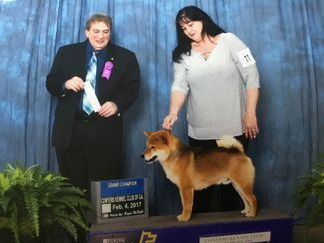 We sell show and pet Shiba's. All pet puppies are sold on a spay and neuter contract. We are located in Thomaston, Georgia. 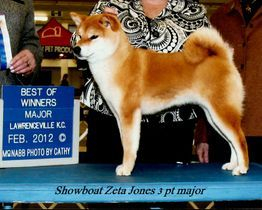 Also Showboat Greek God Zeus received his CGC along with both of his sisters on 5-7-10. 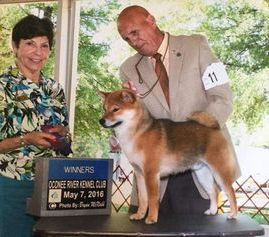 He won 4 out of 6 shows with 3 group 1 placements and 1 second place Group and 1 BEST IN SHOW. (SIRE) INT CH MR Apollo of Woodland Cottage. I love the web but prefer to talk to you in person so call for information if possible.